With the imminent arrival of a Royal Sussex Baby and the school holidays being upon us it has made us think of our younger patients. Children don't always display their symptoms in the same way as adults. Babies cry for many reasons...predominantly they need something but when you have sorted their basic needs; a cuddle, a full belly or a dry nappy, then if they are still unsettled then there is a chance that they may be uncomfortable. 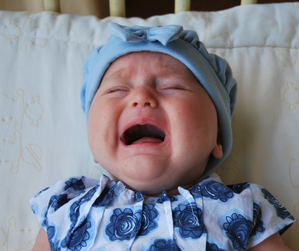 The rigors of birth can leave tension in many areas of a baby's body. The head and neck are particularly susceptible and tension here may manifest as discomfort on lying down which affects sleep and also problems turning the head to feed. Lack of neck rotation can make for a fussy feeder and that can mean more air intake with the milk which contributes to extra wind and possibly colic. There can also be tension around the pelvis, as that area also bears some of the brunt of the contractions too. The diaphragm can also be tight which sometimes is indicated by lots of hiccups and reflux. The diaphragm sits just above the stomach and excess tension can exacerbate symptoms such as colic, reflux or bringing up wind. 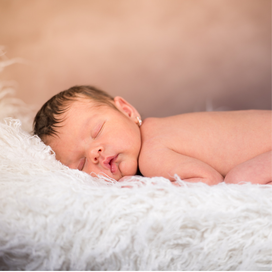 We offer check-ups to all babies as young as 24 hours to ensure they have no tension left after delivery and we especially like to see them if the birth has been very long, very quick or has required any intervention such as forceps or a caesarean section. Gentle osteopathic techniques, including cranial osteopathy techniques, can help ease tension in all areas of your baby's body including tension in the head, neck, spine, diaphragm, abdomen and pelvis. If you would like any further information then please do contact us at Osteopathy For All in East Hoathly. We are also very excited to be getting involved in a research project being run by University College of Osteopathy (UCO) and the National Council of Osteopathic Research on osteopathic treatment of unsettled babies. Babies are welcome to attend appointments whenever it suits you but we also have a dedicated Children's Clinic one Saturday a month. If you would like to book for this clinic please call 01825 840582 or email us hello@osteopathyforall.co.uk.